Beautiful, perfect sized, 4 acre parcel of mountain property that is bordered by National Forest near Grangeville, Idaho. 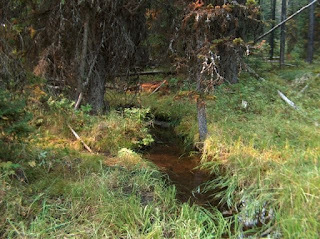 Idaho land for sale has a year round creek, four wheel trail into National Forest, trees, grass, water and more. Affordable too! Build that getaway dream cabin on this great real estate! The Nez Perce National Forest has great recreational opportunities such as multiple day hiking trails. Property located off of Grangeville-Salmon Road and is priced at $49,000. Contact Jim Moody at All Around Realty at 208-983-7878 for more information.